← NACCHO Aboriginal Health , #ACCHO’s and #Medicare : Download Your guide to Medicare for Indigenous health services’ : Includes tips from people who work with Indigenous communities every day. ” Australian states have taken steps towards the nation’s first treaties with Aboriginal and Torres Strait Islander peoples. In an Australian first, a bill committing to a treaty was approved in Victoria’s lower house of parliament on Thursday. The Northern Territory and Western Australia have pledged their own, separate actions in recent days. 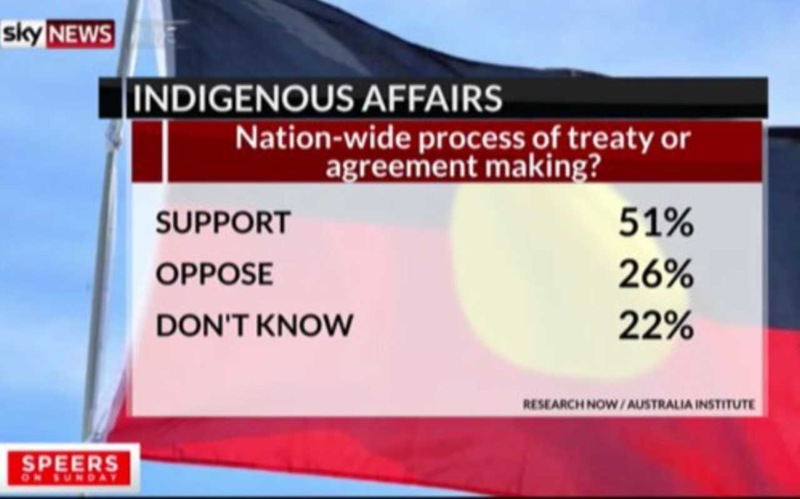 Polling commissioned by the Australia Institute, of 1417 people, found there was 51 per cent support for a treaty and 55 per cent backed a truth telling commission. 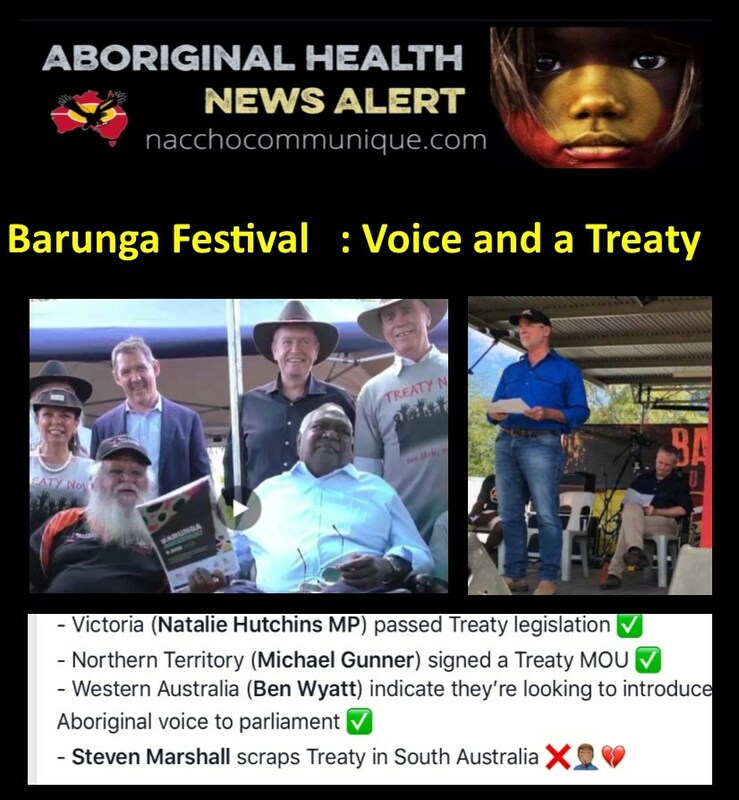 ” The Northern Territory’s four Land Councils and the Northern Territory Government have today signed an historic Memorandum of Understanding (the “Barunga Agreement”), paving the way for consultations to begin with Aboriginal people about a Treaty. ” And we also need to make clear that if we can establish a Voice for our first Australians – the decisions made about them are made with them and by them. This is not a radical concept. It is nothing less than we should expect in any other circumstances. We should not be afraid either, of the using our voice and the voice of first Australians to talk about treaties and agreement-making between our first Australians and levels of government within Australia. Indigenous Affairs Minister Nigel Scullion said it was “irresponsible” for supporters of the indigenous voice concept to leave it open and undefined. He said it was his personal opinion that it would be more effective to have indigenous people having direct influence and power through the office of minister for indigenous affairs. “Whether or not you can run my job by a committee, well it hasn’t been done before,” Senator Scullion said. “What does the Victorian bill say? If passed in the upper house, it will legislate a process for establishing a state Aboriginal representative body and a treaty, or treaties. The bill will also require the Victorian government to provide annual updates on progress. “It is about the recognition of us as the first people of this country,” said Victorian Treaty Advancement Commissioner Jill Gallagher. The South Australian Government has scrapped a process to negotiate treaties with the state’s Aboriginal nations. It comes on the same day the Northern Territory pledged to work towards a treaty with its Indigenous peoples. Premier Steven Marshall said his government was instead in the process of developing a “state-wide plan with a series defined outcomes for Aboriginal people across areas including education, child protection, health and jobs”. 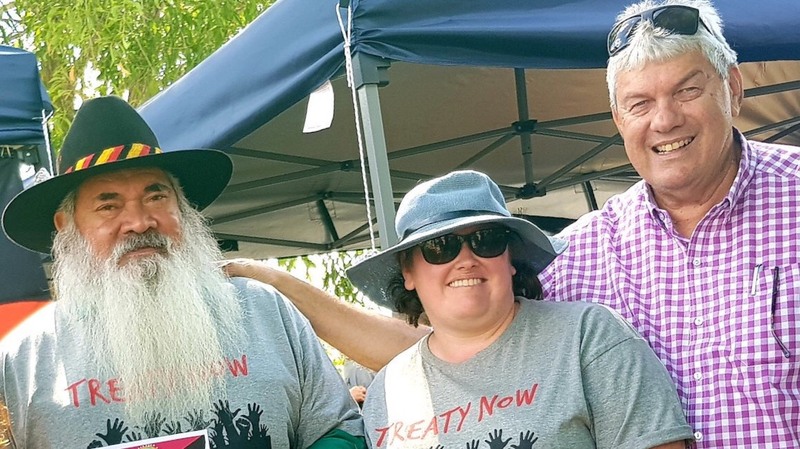 “Treaty commissioner Roger Thomas pictured above has provided advice to the incoming government regarding the positives and negatives of the treaty consultation,” Mr Marshall, who is also Aboriginal Affairs Minister, said. 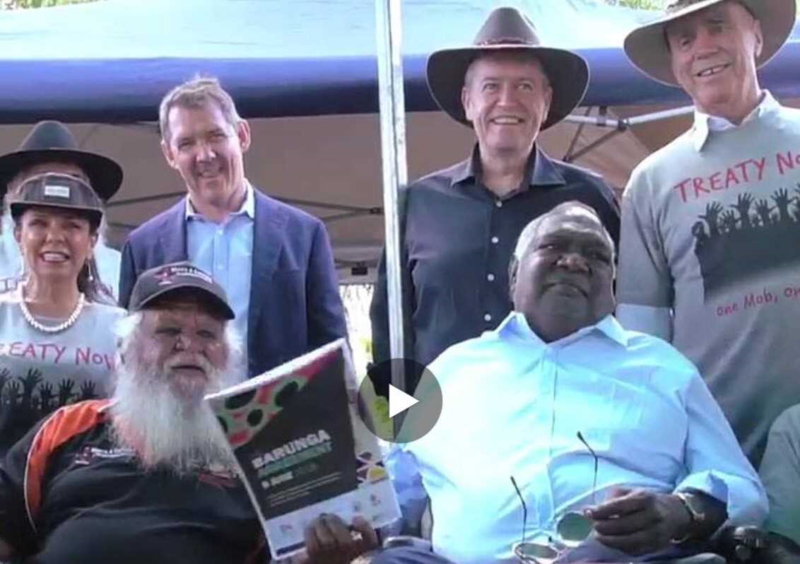 A joint meeting of the four Land Councils at Barunga this week voted to empower their Chairmen to sign the MOU. Chief Minister Michael Gunner, who signed on behalf of the Government, said: “This is the first day of a new course for the Northern Territory. The MoU we have signed today commits us to a new path of lasting reconciliation that will heal the past and allow for a cooperative, unified future for all. 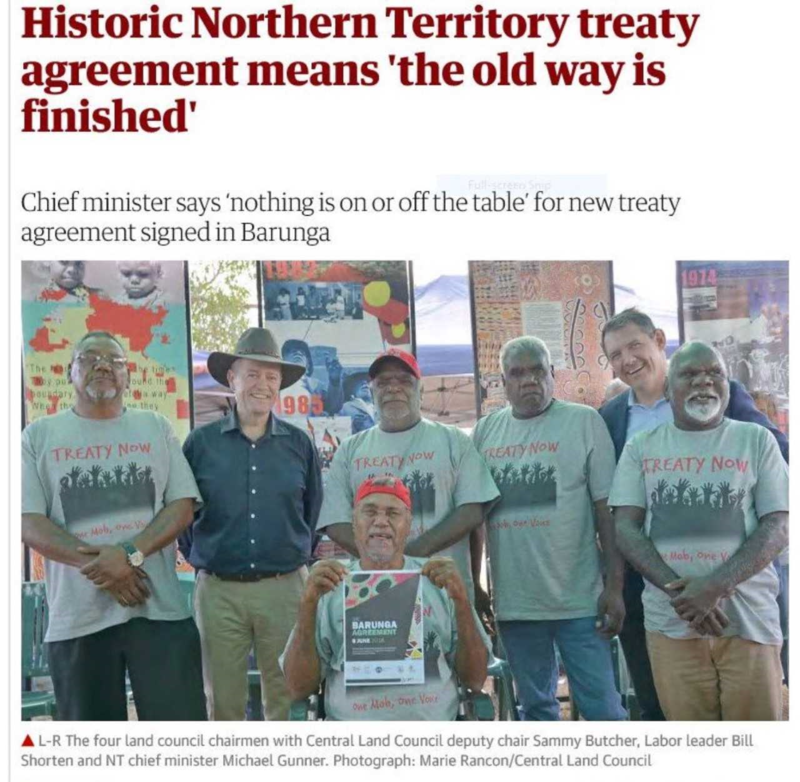 The Territory Labor Government promised soon after the election in 2016 to advance a Treaty, and the MoU is the result of intensive discussions and negotiations between the Land Councils and the Government. Significantly, the MoU was signed on the first day of the Barunga Sport and Cultural Festival – the 30th anniversary of the presentation of the Barunga Statement to Prime Minister Bob Hawke, who went on to promise a Treaty between the Commonwealth and Australia’s Indigenous peoples, but has remained undelivered. Under the terms of the MOU NT Government will appoint an independent Treaty Commissioner who will lead the consultations with Aboriginal people and organisations across the Territory, and develop a framework for Treaty negotiations. The Commissioner will be an Aboriginal person with strong connections to the Territory, and expressions of interest will be called for the position. 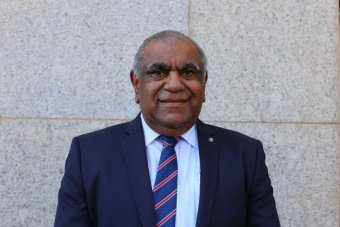 The Land Councils and the Northern Territory Government will make their extensive regional staffing networks available to the Treaty Commission to organise consultations in communities. The MoU prescribes that all Territorians should ultimately benefit from any Treaty, which must provide for substantive outcomes. It’s founded on the agreement that there has been “deep injustice done to Aboriginal people, including violent dispossession, the regression of their languages and cultures and the forcible removal of children from their families, which have left a legacy of trauma and loss that needs to be addressed and healed”. “The process will begin with an open slate. We will start with nothing on or off the table,” Mr Gunner said. The document leaves open the possibility of multiple treaties, and lays out a timetable for the work of the Treaty Commissioner. I acknowledge the traditional custodians of this land, I pay my respects to elders past, present and emerging. It’s true everywhere on this mighty continent but no more so than here and now: this is, was and always will be Aboriginal land. I also want to acknowledge, amongst all of the distinguished guests, including Nigel Scullion, I want to acknowledge all the leaders and the Land Council members. Not just now but those who were here 30 years ago making such significant decisions. And we should remember those who have passed between then and now. I thank the Bagala mob for having us on their land. I also want to acknowledge members of the Stolen Generations who are here with us. And to you, I wish to reiterate the commitment of my party that if we are elected we will provide overdue compensation to the remaining survivors of the Stolen Generations here in the Northern Territory and everywhere else in Australia. Thirty years ago, the Barunga Statement was made. It was only 327 words but they were powerful. But let me acknowledge that in the intervening 30 years not enough of the words, or the spirit, have been kept. I’m embarrassed the Barunga Statement hangs on a wall in Parliament House and too many members of parliament wouldn’t even know it was there. And too many walk past it, their eyes looking the other way. But I’m not here today to talk about failure, I want to add words of hope. When I see and meet the elders and the leaders of the Land Councils, I see hope. When I see Senator Pat Dodson, Senator Malarndirri McCarthy, Linda Burney – first Australians in the Parliament – I see hope. When I see so many of you here, here for the music and the sport, here to listen and to learn, I see hope. Yesterday at Katherine High School, remarkable young teenage girls from the Stars Foundation, I saw hope. Remarkable young Aboriginal boys, teenagers at the Clontarf Foundation, I see hope. I see hope but I also acknowledge there is unfinished business. Not unfinished business here but unfinished business across our nation. We have not come far enough. We need to reset the relationship between our first Australians and all other Australians, we need to change the way we do business. Not until we are a reconciled nation can any of us help fulfil the destiny this nation has. We need to change the way we talk to each other and act to each other. I see that we need to use honour, equality, respect and recognition. For me coming here is a privilege but it is also a reminder. We need to take the Barunga Statement and use it as a map on our journey to deliver a voice for our first Australians in the parliament and in the constitution. We need to work towards a Makarrata Commission, a truth-telling commission. Because until our communities can reconcile a joint narrative about the history of this country, we cannot truly be reconciled. And we also need to make clear that if we can establish a Voice for our first Australians – the decisions made about them are made with them and by them. I believe that Australians have the goodwill to reconcile this country. What they don’t have is the leadership in this country to drive proper and meaningful reconciliation. I say to the people who fear the concepts of agreement-making, of a Voice, of treaties. I say to these people who fear this: you have nothing to lose. You still will be able to play football on the MCG, your backyard hills-hoists will not be part of any claim, the chickens will still lay eggs. We are not giving a special deal to our first Australians – because they don’t get a special deal in our country. A famous man once said, it’s all very well that to say that you lift yourself up by your bootstraps but if you don’t own a pair of boots, you’re not starting from the same position. So I regard the spirit of Barunga as a reminder to trust the better angels of the nature of the Australian people, to recognise that we can’t honour our country unless we honour our first Australians. Unless we recognise and respect and have equality this nation will not be the country it should be when – because of the colour of your skin – your life expectancy, your access to healthcare, your educational opportunity, your access to housing and to justice are discriminated against. So I understand very keenly not just the obligation here but the obligation elsewhere for leadership and I thank you very much for inviting me to be part of this great festival today. Aboriginal leaders and constitutional lawyers have slammed a proposal from Indigenous Affairs Minister Nigel Scullion to replace his job with an indigenous committee, arguing it is “far more radical” than their proposal for a constitutionally enshrined indigenous voice to parliament. 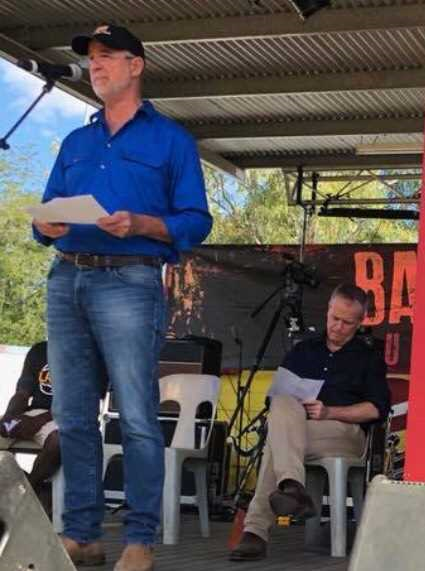 Senator Scullion made the call during an interview at the Barunga Festival near Katherine in the Northern Territory yesterday, declaring the voice to parliament was “nothing” next to the decision-making and policymaking powers that come with his office. 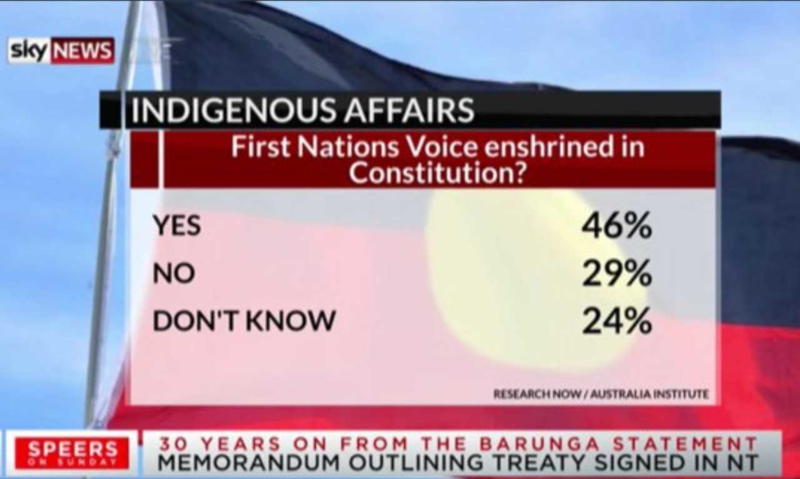 The voice to parliament has been championed by the Referendum Council and would involve an indigenous representative voice being enshrined in the constitution, as called for by indigenous leaders from across Australia in last year’s Uluru Statement. Aboriginal activist and constitutional law professor Megan Davis was highly critical of Senator Scullion’s idea. Indigenous academic Marcia Langton said she believed Aboriginal people were “perfectly well aware” of the power held by the Indigenous Affairs Minister. “The Uluru Statement from the Heart calls for a voice to ­parliament, and I’m pretty sure this was not what was meant by the Uluru indigenous Convention delegates,” Professor Langton said. Former Kimberley Land Council CEO Nolan Hunter said the idea was unworkable. “If you applied the same thinking to all the other portfolio areas, how would that work?” he said. Mr Hunter said Senator Scullion’s idea was a distraction from constructive work the indigenous community had been doing towards the voice to parliament. Senator Scullion accused the Referendum Council of being “irresponsible” in proposing the voice to parliament without also proposing a question to put to a referendum. A parliamentary committee co-chaired by Labor senator Pat Dodson and Liberal MP Julian Leeser is examining recognition for indigenous Australians in the constitution, with submissions due today. Senator Scullion said a voice to ­parliament was “all fluff” compared with the power his job holds. “It’s my job, mate. It’s my job,” he told Sky News. “I have the money and I have the capacity, not me, but the job has the capacity to allocate funds, to create policy, to create change and to do stuff … Now if you don’t have that you’re just fluffing around the edges. You don’t want a voice to parliament, you don’t want a third chamber … it is nothing next to the decision-making, the policymaking, that comes with my office”. He had not “specifically” discussed his idea with Prime Minister Malcolm Turnbull. “My utterances are not necessarily the views of government,” he said.